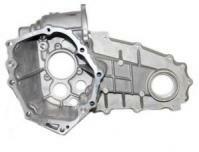 OEM replacement Front transfer case. Fits Manual Transmission 4WD DA63T Trucks. Include chassis number when ordering. Limited supplies.